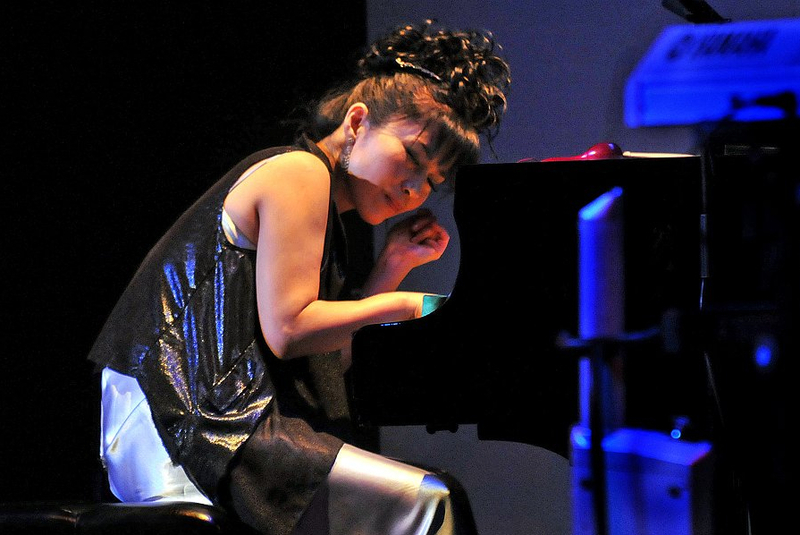 Keiko Matsui at Yoshi’s SF in 2012. “Acoustic at the Aratani,” featuring Keiko Matsui with Carlitos Del Puerto and Jimmy Branly and guest Cameron Stone, will be presented on Friday, Dec. 4, at 8 p.m. at the Aratani Theatre, 244 S. San Pedro St. in Little Tokyo. Celebrating over 25 years of critically acclaimed recordings and world tours, pianist and composer Matsui is creating a new framework for her signature melodies by inviting acclaimed Cuban jazz musicians del Puerto and Branly to collaborate with her on a new trio concept. On her recent tour of Japan, this acoustic-driven presentation garnered rave reviews. The Aratani Theatre is thrilled to debut its “Acoustic at the Aratani” series with Matsui’s newest presentation for the first time in the U.S., and the trio will be joined on stage by Stone on cello. Presented by the Japanese American Cultural and Community Center in association with Nakamoto Music Group, “Acoustic at the Aratani” promises to be an intimate and revealing interpretation of Matsui’s music and improvisational skills. This will also be the first acoustic jazz performance on the theater’s state-of-the-art Bose RoomMatch sound system. This event will be hosted by Pat Prescott of “Pat Prescott in the Morning” on 94.7 THE WAVE. Doors open at 7:30 p.m. Tickets: Orchestra — $45 general, $41 for JACCC members; balcony — $32 general, $28 for JACCC members. For more information, go online to www.jaccc.org. Service handling fee applicable. All Sales are final; no refunds or exchanges. Use discount code “group” for parties of 10 or more and receive $5 off each ticket, only for orchestra seating.